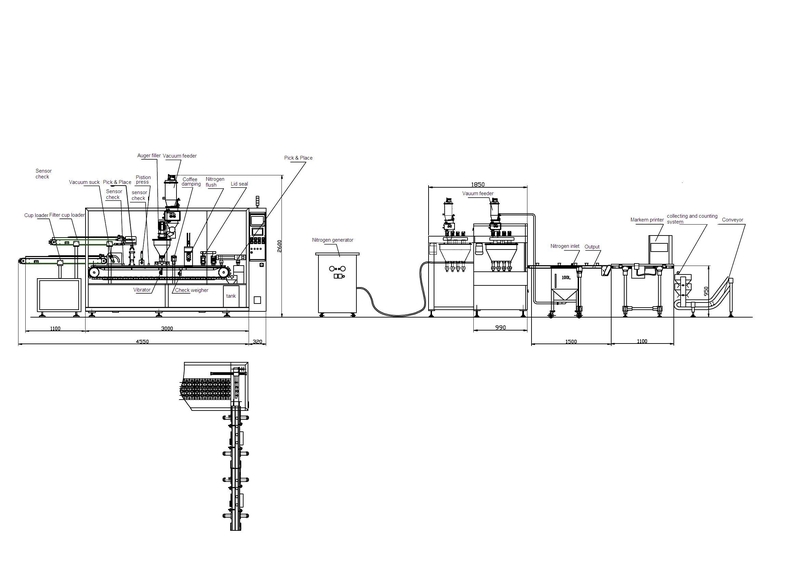 SDX-4P model is full automatic 4 line k-cup filling and sealing machine 140 CPM with filter inserting option. In-line machine very easy and convenient to operation, perfect for over a million cup per month large manufacturing capacity. Heavy duty constructed, stainless still surface, extremely reliable. SDX-4P machine able to fill and seal different type of pods like “K-cup®”, “Upshot®” ,“K-shot®”, and with modification Nespresso® and Lavazza®. Four accurate servo drive auger fillers suitable for various of powder products: coffee, tea, hot chocolate etc. This modern machine build in Europe and touched up at our plant in Canada. Stainless steel AISI 304 constructions include frame and electrical box.